Afghan workers working in the parks in north Tehran are employed by contractors and are barbarically exploited. They are extremely impoverished, and after several months’ worth of delayed payment, went on strike on 7 November 2012. They complained that not only are they poorly paid, but their wages are paid with delays of several months. Considering the recent increases in food prices, such as the price of the bread that constitutes their main daily meal, the little wages they receive have not been increased. Given the fall in the value of the touman against other currencies, the little amount they receive is worthless. Contractors, which sign contracts with municipalities without doing any work, profit enormously while trampling on Afghan workers in many different ways. These workers, after stopping their work, gathered in a park corner and showed their contentment by singing and dancing beautifully together. 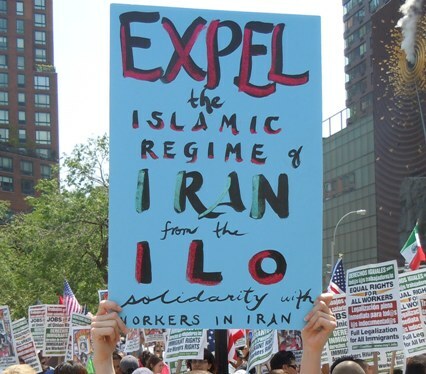 MFI congratulates Afghan comrades in protesting against the inhumane treatment of all workers in Iran by the anti-labourer regime of Iran. We wish them a successful strike and that they reach their objectives as soon as possible. Long live the unity of all workers in Iran. Down with the Islamic Regime.